SHOWCASE Auckland – Introduced. 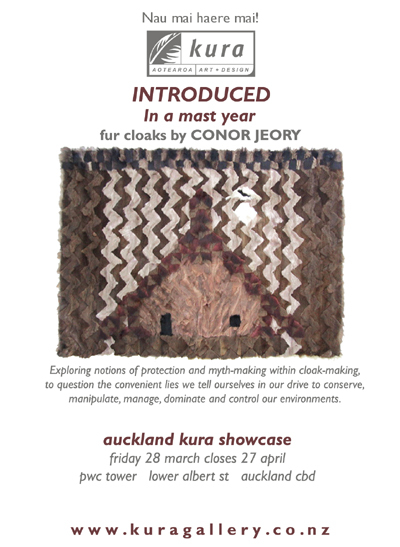 In a mast year – Fur cloaks by Conor Jeory – Kura Gallery: Maori and New Zealand Art + Design. manipulate, manage, dominate and control our environments.